A reliable all-in-one, the HP PSC 1500 series offers scanning, copying, and printing, minus the fax feature. It is a more suitable option for larger offices, offering a duty cycle of 5,000 pages a month. 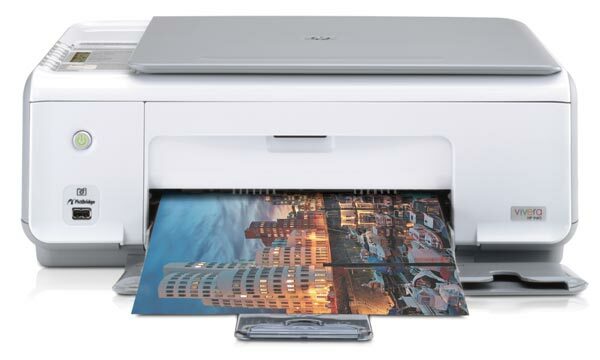 The HP PSC 1500 models also work as standalone scanners, printers, and copiers. Connectivity is limited to a single USB port, but PictBridge is supported for printing photos direct from camera. Units from the HP PSC 1500 series share the design and components, including neat control panels, flat bed glass scanners with protective lids, extendible paper trays, rear USB ports, and PictBridge ports. To improve ease of use, there are distinct buttons for canceling or resuming tasks, changing paper, adjusting the quality or sizes of copies, adjusting the number of copies, as well as copying in black and white or colour, and starting scans. The HP PSC 1500 is compatible with Mac and Windows. Print speeds are impressive at about 7.5ppm and 5ppm in black and colour (normal mode). The PictBridge port also supports several image formats, including JPEG, Exif/JPEG, and DPOF, and features an image crop and print function. The HP PSC 1500 is a reliable line, but it does have limitations. For example, the scanner can scan no larger than A4 documents, and slows down depending on the document's complexity. PictBridge only supports a number of formats, excluding TIFF and RAW images, and connectivity is limited to the high speed USB interface, with no possibility of networking or wireless printing.